Video games have dominated much of the recent focus in game studies, including pedagogical applications, simulations and training, and cultural representations. Games scholars often overlook “analog” gaming traditions such as tabletop games, or the oldest human play tradition, roleplay, yet diverse communities of players creating and enacting live-action role-playing games (LARPs or larps) exist around the world. They offer a unique object of study with regard to social justice and activism. Larps are an interactive role-playing game in which participants convene at a particular location and portray characters through physical action, generally in costume and with props. Sometimes called Interactive Storytelling or Interactive Literature, a larp is a live, co-created, improvisational performance where everyone present is an active participant and has a stake in the outcome of the game. 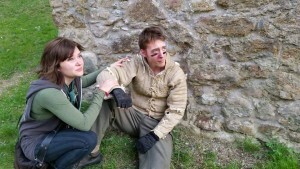 Larps are played without known endings, and often without explicit win-conditions. The game is distributed among its varied participants, who directly interact with each other, rather than through tokens, screens, controllers and other interfaces. While there are game mechanics and rules, these are often less controlling, as agency is given to the players to create plot together and decide among themselves what direction to take. Larps unfold through conversation, action, costuming and props (verbal, visual, and material rhetoric) in an open system, a framework created by the designers for the players to build upon. Videogames, on the other hand, are a closed system in which players are limited by the choices made by the designers and programmed into the game. 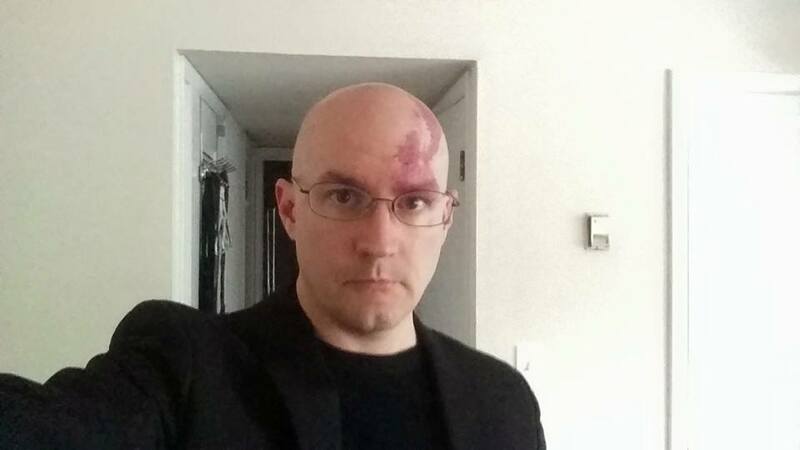 In addition, larps are embodied, offering the unique neurocognitive experience in which our physical bodies and brains experience the roleplay as real. Because roleplay invites participants to take on another persona and experience the game from the perspective of someone other than one’s self, it offers a unique opportunity to empathize with others and consider issues of social justice. In order for the social justice goals of equality and diversity to exist, one must be able to view the world from the perspective of another and recognize the value in both other people and their points of view. The mere act of roleplay requires that one enacts a double-consciousness between player and character, something that can lead to a greater awareness of others and a recognition of the constructed nature of the self. This experiencing of “othering” can build the empathy needed for social justice to take hold. Furthermore, larps are a continually unfolding and shifting rhetorical situation loosely contained by the boundaries of space, time, and game rules. 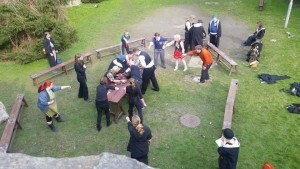 In larp gameplay, content is continually created by the participating players. Through language, performance, and information exchange, the players drive the experience for each other collectively. 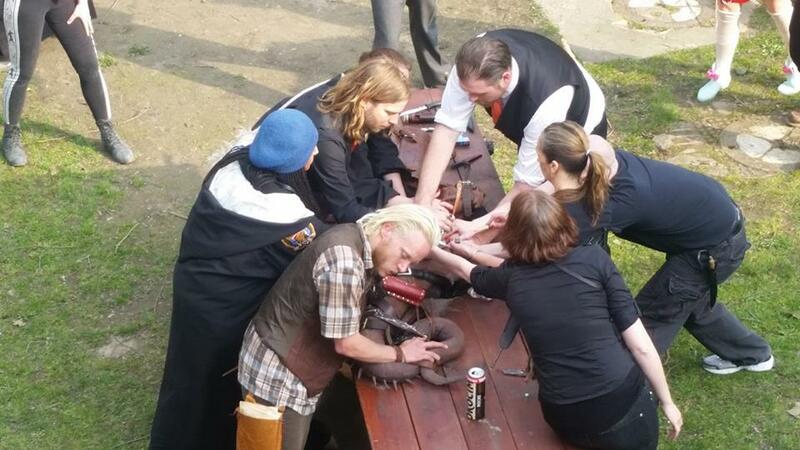 It is impossible to larp alone; in order to play, one must engage with others beyond mere competition. 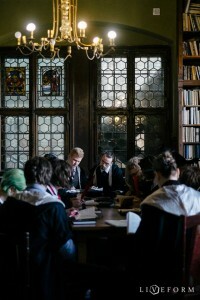 For example, in the recent College of Wizardry larp held in April in Poland, around 140 participants from 17 countries gathered for a three-day event conducted in English. 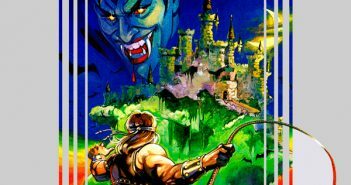 The game, while set in a fantasy world, contained issues of racism via the concept of blood status as well as social hierarchies that privileged some characters over others. During the game, a plot emerged around a juvenile dragon that was unable to breathe fire. The dragon handler told players the dragon was not well, but admitted not knowing the source or how to remedy it. This was an invitation to create the narrative, an opportunity to contribute to the game. A spontaneous and evolving group of players created an elaborate plot to heal the dragon, obtaining necessary items, designing runes, brewing potions, and conferring and agreeing upon the best possible solution. 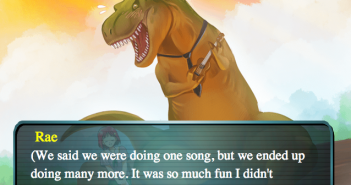 Although game designers intended for the dragon to come into play, and the dragon-handler seeded the plot through his own role-play and access to props that would assist in a procedure, the plot did not have a defined process or solution until it was taken up by the players who actively attempted to draw others into the narrative, while building on their own stories and strengths. It is clear from this example that larps are a type of Participatory Design (Jenkins, 2006, 2008) in which players actively attempted to include multiple stakeholders in order to make the outcome more successful. 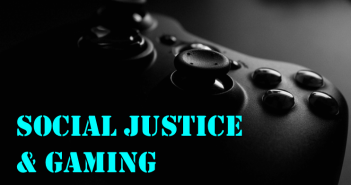 However, as we consider the lens of social justice, not all player-designers may participate equally or have voices with equal clout. This inequality may be a result of in-game constraints such as character design or game mechanics, or out-of-game characteristics, particularly aspects of the players’ physical bodies and how they align with the dominant social hierarchy. Bodies which correspond to dominant social norms may also dominate play, even if unconsciously. Rhetorical listening (Ratcliffe, 1999, 2006) and invitational rhetoric (Foss & Griffin, 1995) offers a lens for how the play enacted through larping can foster empathy and empower players to challenge the dominant representations and ideologies that are too easily reified through game design and play. In plots like the dragon healing plot at College of Wizardry larp, the rhetoric the characters used is invitational and not the agonistic or command and conquer rhetoric that is programmed into so many games. By inviting another player to collaborate, one offers them the opportunity to speak and participate in a co-created narrative. To do so, one must listen to their contributions and build upon them. This type of play enacts the principles of invitational rhetoric, one “rooted in equality, immanent value, and self-determination” (Foss & Griffin, 1995). Collaborative roleplay invites other players to enter the rhetor’s (in this case a player-character’s) world and to see it as the rhetor does. The purpose is to generate understanding among individuals with different perspectives. Playing invitationally and listening and valuing the contributions of others leads to greater empathy and awareness. Play then has the opportunity to proceed in a way that enacts the social justice values of equality and diversity. In the dragon surgery subplot, in spite of the organizational challenges, the players made the decision to be as inclusive of others as was reasonably possible, compartmentalizing tasks and responsibilities so that they could be divided among the many players. The option certainly existed to exclude others, keeping the resolution of the unique event in the possession of as few players as possible. The decision to include as opposed to exclude, in addition to making the project an organizational feat, allowed for the creation of play for others, an act of generosity that stemmed from valuing relationship building, reciprocity, and self-determination. Furthermore, players chose to ignore social hierarchies established in the game, and the group that performed the complex procedure that saved the dragon included characters from rival houses, from multiple majors, and with players ostensibly lower on the in-game social structures in key roles. For example, two of the leading participants were non-pureblood sophomores, given agency in a group Generously giving play invites other players’ interest, which in turn creates more options and opportunities for interactions. Furthermore, players chose to ignore social hierarchies established in the game, and the group that performed the complex procedure that saved the dragon included characters from rival houses, from multiple majors, and with players ostensibly lower on the in-game social structures in key roles. If the key to social justice lies in empathy for others, we need to examine our games carefully. We need to try and see cases where empathy is potentially encouraged by the gameplay and be wary of games that deny or limit opportunities for empathy to flourish. We need to look for gameplay that offers not only interactivity, but also allows the players freedom to create gameplay for each other, and consequentially affords them the means to subvert existing hierarchical paradigms. Many games are designed with a single-player ethos; the objective is to be the winner, defeating opponents and gathering the most resources. The only meaningful interaction with other players permitted by the design is competitive, if not outright violent or murderous. Since players in larp have the freedom to subvert content and to create content for each other, empathy at least has a chance. Jenkins, H. (2006). Fans, Bloggers, and Gamers: Media Consumers in a Digital Age New York: NYU Press. Jenkins, H. (2008). Convergence Culture: Where Old and New Media Collide (Revised edition). New York: NYU Press. Ratcliffe, A. P. K. (2006). Rhetorical Listening: Identification, Gender, Whiteness (1st edition). Carbondale: Southern Illinois University Press. Maury is pop culture aficionado who believes that the stories we tell have the power to change our lives. An avid larper and writer, she occasionally blogs about games and social justice with Ben Morrow at www.inexorableprogress.com. Ben is a dwarf fortress player and LARP enthusiast who sometimes writes some things. He cares about diversity and fears institutions as if they were indifferent giants. He writes some things sometimes with Maury Brown at www.inexorableprogress.com. He believes in cultivating empathy.